Blog Is Smile Direct Club Right For You? Smile Direct Club is a wonderful way to straighten your teeth. It costs less than other similar options such as Invisalign or Clear Correct, and you don’t even need to visit the dentist! However, like any other dental treatment option, it is not right for everyone. At Jennifer Stachel Orthodontics in NYC, we provide a complimentary consultation to help you decide which teeth straightening option is right for you. Smile Direct Club can be viewed as a direct-to-consumer version of Invisalign. You can order an at-home impression kit or, if you prefer, have your mouth scanned at an affiliated Smile Shop. Either way, a Smile Direct professional will create a 3-D digital model of your current smile, and then move each digital tooth individually to map out your treatment plan. Treatment typically lasts around 5 months, but will vary according to your individual needs. Based on your digital treatment plan, Smile Direct Club will start production on your customized clear plastic aligners. They will send you a batch of new aligners every month, and you will change them as instructed in your copy of your treatment plan. A three-month supply of whitening gel is also included with your aligners. After completing your treatment plan, you will switch to a set of upper and lower retainers to wear at night. You can also order more whitening gel at any time. Smile Direct Club costs much less than similar products, primarily because of its direct-to-consumer model. The treatment portion can be financed, and you may qualify for partial reimbursement through your dental insurance plan. The biggest drawback to Smile Direct Club as compared to Invisalign or Clear Correct is the lack of direct oversight by a dentist. Those who choose Smile Direct Club must be self-motivated and fully dedicated to following their treatment plan. In addition, the direct-to-consumer model makes it harder to change course mid-treatment if needed. Every person is different, with unique needs and goals for treatment. Jennifer Stachel Orthodontics is pleased to offer a complimentary teeth-straightening consultation. In some instances, the treatment is only as good as the impression. We provide consultation services to ensure that regardless of the approach you use, you’ll have a satisfactory result. We will walk you through the Smile Direct Club model, as well as other solutions such as Invisalign, Clear Correct, and even traditional braces. 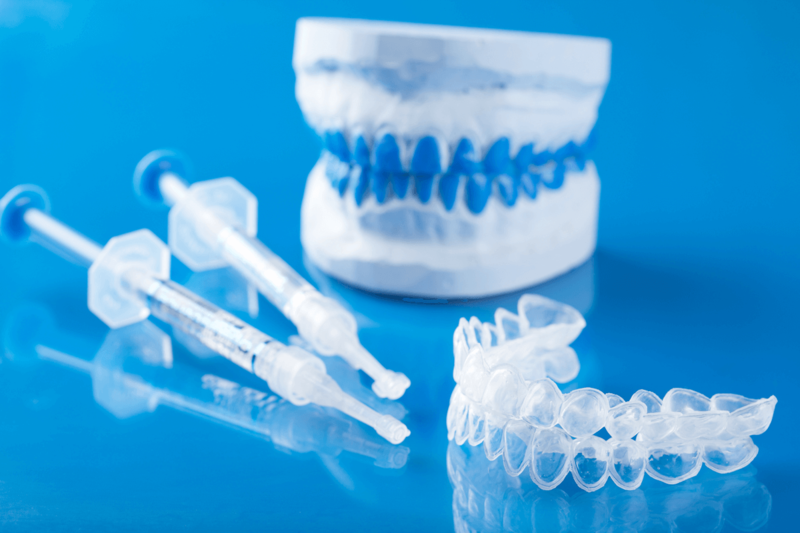 In addition, we have a 3-D printer in our office, allowing us to create aligners for you at a very reasonable price. Together, we can choose the best option for you!